Djinn demons originate in the Arabian mythology. Djinns live in the desert and are the embodiment of evil. They appear as miscellaneous animals and humanoids. Djinns or Jinns may be good or evil and appear in animal forms besides the demonic form. Jinn / Djinn or genies are supernatural creatures in Arab folklore and Islamic teachings, which occupy a parallel world of humanity. Together, Djinn, humans, and angels are the three conscious creations of Allah. According to the Qur"an, there are two creations that have free will, human beings, and Djinn. Religious sources say little about them; however, the Qur"an mentions that Djinns are made of flame without smoke or fire, of a scorching wind. They have the ability to change shape at will and appear as anything. As human beings, the genies can also be good, bad or neutral benevolent. In general, rookie Demonologist should fear the Djinn. Beware that some Djinn live to terrorize humans! Djinns or Jinn are the opposite of Angels because they have free will like humans but have great strength like Angels. This combination of free will, tremendous strength, and magic abilities make Djinns dangerous demons. Djinn is mentioned in the Qur"an, and there is a chapter entitled Surat al-Jinn. Djinn is derived from the Arabic root JNN which means "to hide" or "hidden." Other words derived from this root is Majnun "crazy" (literally "one whose intelligence is hidden"), Junun (madness), and Janin. 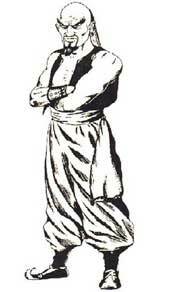 In mythology, Guanches of Tenerife in the Canary Islands, there was a belief in beings that are similar to Djinns, like the Maxi Paredros or gods (gods attendant, national spirits and nature) and Tibicenas (evil spirits) and Guayota of hell (god of evil aboriginal) which, like Arabic Iblis, is sometimes identified as a Djinn. In Judeo-Christian mythology, the word or the concept of genies, does not occur in the original Hebrew text of the Bible, but the Arabic word "genies" is often used in several ancient Persian and Arabic translations. Archaeologists who study ancient Middle Eastern cultures often assume any spirit lower than the angels is Djinn. This association is mostly used when stone carvings or other forms of art are referenced. Inscriptions found in Northwestern Arabia seem to indicate the cult of genies, or at least their tax status. For example, an inscription from Beth Fasi"el near Palmyra pays tribute to the "Jinnaye", the "good and rewarding gods." Types of Djinn include the Devil, Ghul, the Marid, Ifrit, and genies. According to information from the Thousand and One Nights, Ifrits seem to be the strongest form of genies, followed by Marids and then the rest of the forms of Jinns. Islamic theology, these spirits, are said to be evil creatures with free will, made of smokeless fire by God as human beings were made of clay. According to the Qur"an Djinn have free will. They abused this freedom from God, by refusing to submit to Adam when God commanded the angels and Djinn to do so. For disobedience to God, Djinns were expelled from Paradise and called "Satan." Djinn is frequently mentioned in the Qur"an: Sura 72 (called Surat al-Jinn) is the name of genies. Another Sura (Surat Al-Nas) mentions the Djinn in the last verse. The Qur"an also mentions that Muhammad was sent as a prophet to both "humanity and Djinn" so that the prophets and messengers were sent to communities. Like humans, Djinns have free will that allows them to do what they choose (and follow any religion.) They are usually invisible to humans, and humans do not appear focused to them. Djinns / Genies have the power to travel long distances at extreme speeds and are believed to live in remote areas, mountains, seas, trees, and the air in their own communities. Like humans, Djinn will also face the Day of Judgement and will be sent to heaven or hell according to their works. The community (social organization) of the Djinns resembles that of humans, for example, there are the kings, courts, weddings, and rituals of mourning. A few traditions are divided into three kinds of Djinn: those who have wings and fly in the air, resembling snakes and dogs, and constantly traveling around. Other reports claim that Abd Allah ibn Mas"ud saw Djinn when he heard Muhammad"s recitation of the Qur"an. He described Djinns as creatures of different forms like vultures and snakes while others were like men high in white suits. Djinns may assume the forms of dragons, wild asses or a number of other animals. In addition to the forms of animals, the Djinn occasionally take human form to deceive and destroy their human victims. Some have also argued that Djinn can exist in bones and upon touching those bones, they become alive, and the flesh will reappear. Ibn Taymiyyah believed that Djinns were "ignorant, untruthful, oppressive and treacherous." Ibn Taymiyyah believed the account of the Djinn, the "magic" perceived by humans, in cooperation with wizards to pick up objects, delivering the hidden truths to the magicians, and imitating the voices of those who died during the seance. The following verse of the Qur"an states that the prophets were sent to the Djinn. The Djinn demon is a male demon.